Same Day Carpet Cleaning Costa Mesa in Orange County. We offer every day carpet cleaning Costa Mesa services in the surrounding areas as well. If you have a pet in the house, or got a surprise call for a visit, call us. We understand the immediate need you have for a variety of reason for same day carpet cleaning in Costa Mesa. We offer green carpet cleaning solutions for the safety of you and your family. Also, our carpet cleaning process is safe for you pets. Over the years we have developed a 5 step carpet cleaning method that would provide best results. Carpet cleaning, upholstery cleaning and air duct cleaning are the number one cause for allergies. Please make sure you maintain a periodical service on all. We have a dedicated team for carpet cleaning Costa Mesa services, Dr. Carpet Costa Mesa. We offer same day upholstery cleaning Costa Mesa service. As mentioned before we have a dedicated crew that takes care of your urgent needs in Costa Mesa. In order for you to keep a clean air and atmosphere in your house, you must consider also upholstery cleaning. Every time we sit on the sofa or couch we let loose of a dust cloud in the open space. Moreover, when you sit on the upholstery your body will generate sweat and moisture that would also linger on. Therefore, the dust and the moisture combine and create black spots on the upholstery. In addition, when you eat and drink on the upholstery you tend to spill and drop food. So, food and drink stains will appear. We offer green upholstery cleaning to your sofa and couch. We will leave your upholstery fresh and clean for a longer time. Carpet cleaning Costa Mesa is a high demand service, contact us for scheduling. Air Duct Cleaning Costa Mesa. More than carpet cleaning and upholstery cleaning, you have another major source of dust and allergies in your home. Air duct vents and the main return are a big cause in your house for dust in your space. Contact us for more information about air duct cleaning Cosa Mesa. Also, we offer same day air duct cleaning service in all surrounding areas and cities in Orange County. Especially in seasonal change there is a need for air duct cleaning. Every time you start using your HVAC system again it is time to get your air duct cleaning scheduled. By doing so you will eliminate many tough days with sever allergies.Dryer Vent Cleaning Costa Mesa.Our dryer vent cleaning is among our most important and vital services for you to keep in mind. Dryer vents get clogged often, and that means they could catch on fire. Therefore, contact us to come and clean up the entire dryer vent for you. Dryer vent cleaning Costa Mesa is very desirable, and that is due to the demographics. When there is a large demographic of large families, the dryer is used more often. Therefore, it may get clogged more often. Mattress cleaning in Costa Mesa. In addition to our major carpet cleaning Costa Mesa services, we also offer supplemental services. Mattress cleaning in Costa Mesa is also a service at a high demand. Whether you have spilled a drink on you bed, or one of your kids or pets have peed on it. You will need to get deep cleaning on your mattress. In addition, we offer green mattress cleaning products for your safety and comfort. For more information about local mattress cleaning in Costa Mesa, please contact us. Tile & Grout Cleaning in Costa Mesa. We also offer a tile and grout cleaning in Costa Mesa. You may not need to get your tile cleaning as often as carpet cleaning. However, it is recommended to steam your tile and grout every couple of years. Moreover, your grout absorbs the stains and with time it becomes very difficult to remove and clean. Therefore, a periodical grout sealing is also a must at every home. For more information about tile cleaning in Costa Mesa, contact us. Commercial Carpet Cleaning Costa Mesa. our commercial carpet cleaning packages are the best solution for you to maintain a clean environment around the office. Commercial carpet cleaning Costa Mesa is a high demand service due to the many commercial buildings and offices around. In case you have a high traffic area in the office, it is recommended to get carpet cleaning at least 3 times a year. For more information about commercial carpet cleaning Costa Mesa and scheduling please contact us. Carpet Cleaning Costa Mesa Warning. Please do not attempt to do any of the cleaning by yourself. First, there is a high risk of injury. Also, Using the wrong equipment and carpet cleaning products could harm you and your home. Contact Dr. 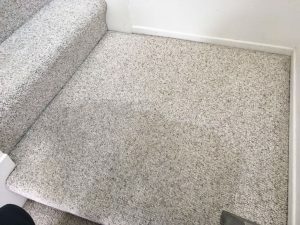 Carpet Irvine for more information about same day carpet cleaning Costa Mesa service.For more details about our carpet cleaning Costa Mesa services you can visit our Dr. Carpet Costa Mesa Page.